If your Michigan driver’s license has been revoked, it’s up to you to fight to get it reinstated. There are different legal and administrative requirements in place that vary depending on the severity and timing of your offenses. So it’s usually beneficial to speak with an experienced driver’s license reinstatement attorney to come up with a plan that’s tailored to your exact situation. However, there are some basics that must be covered. 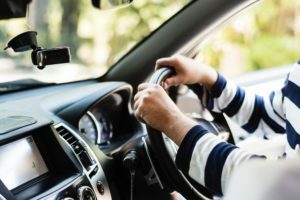 In most cases, your main goal should be to demonstrate to the court that your original offenses will no longer be an issue and that you’ll be able to operate a motor vehicle safely and legally going forward. One of the most common reasons why people have their license revoked is due to multiple DUI convictions. But you can also face suspensions because of insurance violations, failure to appear in court, excessive points on your driving record, or vehicle-related felonies. Here’s what you should know if your Michigan driver’s license has been revoked. In Michigan, you can have your driver’s license revoked or suspended. Suspensions usually occur for a set period of time, meaning your license will be automatically reinstated after that period, though there are some cases where your license can be suspended indefinitely. When your license is revoked, it is taken away completely. This means you need to actually schedule a hearing and present evidence to the state if you ever want to get your legal driving privileges back. The first step in this process is usually requesting a hearing with the Michigan Secretary of State. You need to wait at least one full year after your initial revocation or five years after any subsequent revocation. During this hearing, you need to present evidence of your ability to safely operate a vehicle. So if you have faced multiple DUI convictions, you need to present the Secretary of State with proof that your substance abuse issues are under control. This may include a substance abuse evaluation form from a licensed counselor, a drug screen, proof of counseling, AA attendance logs, and letters of support from people in your community. In DUI cases, you’re usually also required to first obtain a restricted license before having your license fully reinstated. This means you’ll need to drive a car with an interlock device that requires you to submit to a breathalyzer test before starting the vehicle. This device also collects your usage information, so it can alert the Secretary of State if you attempt to start the vehicle while intoxicated. Once you’ve completed that requirement, you can request another hearing and ask for your restricted license to be reinstated fully. Throughout this entire process, it’s helpful to have an attorney that handles driver’s license reinstatement cases at your side. They can outline the exact pieces of evidence you need to submit and ensure that your arguments align with the original issues that led to revocation.